The fourth trimester marks the transition from pregnancy to parenthood. 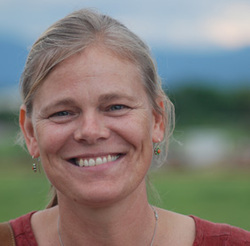 Sally MacFadyen (IBCLC, CD, CCE) is a lactation consultant, birth doula, and childbirth educator. She is a mother of two who started working with other mothers as a La Leche League leader and who has found her calling helping women and families. Sally believes in "meeting people where they are" and helping them reach their goals with support, compassion, and understanding. She provides services both in-home and at Eastern View. A lactation consultant is a specialist in all aspects of infant feeding. She can give you the help and support you need to enjoy breastfeeding and will work with you to resolve any problems that may occur. As she does this, she will also share her wealth of knowledge about newborn and infant care. Breastfeeding is a natural process, but it is not instinctive. The mother and baby actually learn how to breastfeed together. In some societies, a breastfeeding woman is a common sight and women learn by growing up in this environment. However, in our society, many new mothers have never held a newborn infant prior to having their own child and are unfamiliar with breastfeeding. A lactation consultant can help new moms develop the skills needed for successful breastfeeding. Many insurance companies (including BCBS Better Beginnings) cover lactation consults. Call your insurance carrier for details. The Fourth Trimester also carries Spectra® Medela® breast pump products. We provide pumps for BlueCross BlueShield Better Beginnings® enrollees with no out-of-pocket expense.